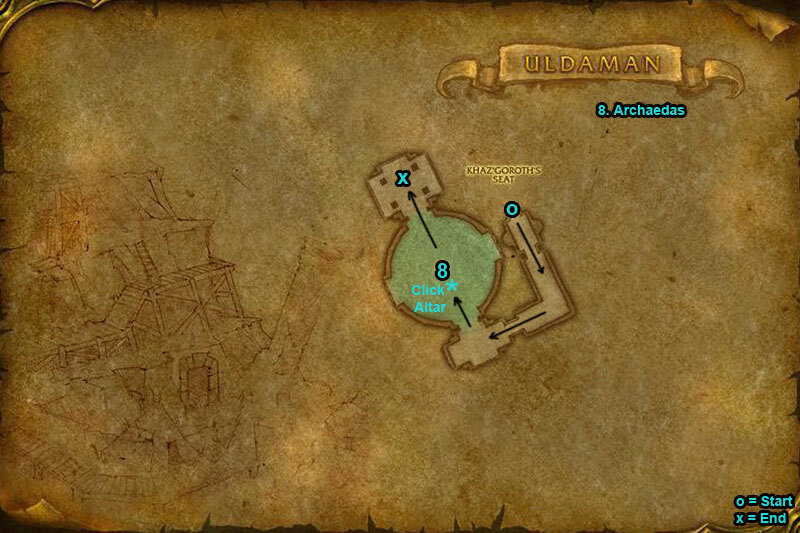 You can find the Uldaman dungeon within Badlands, Eastern Kingdoms. 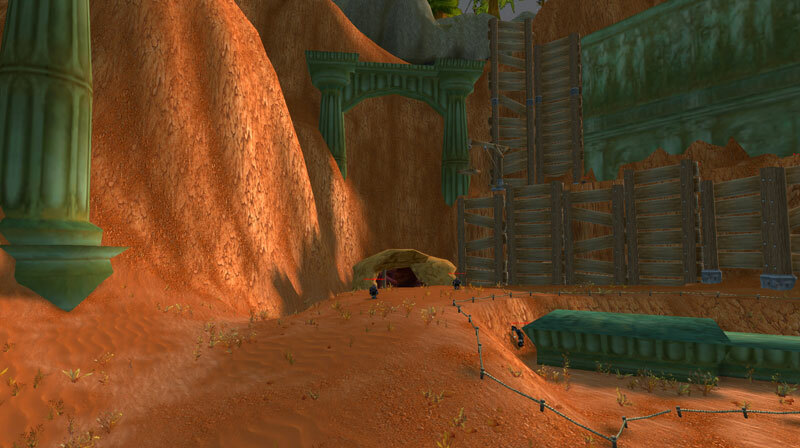 You will see a small cave, go inside and follow the path through. 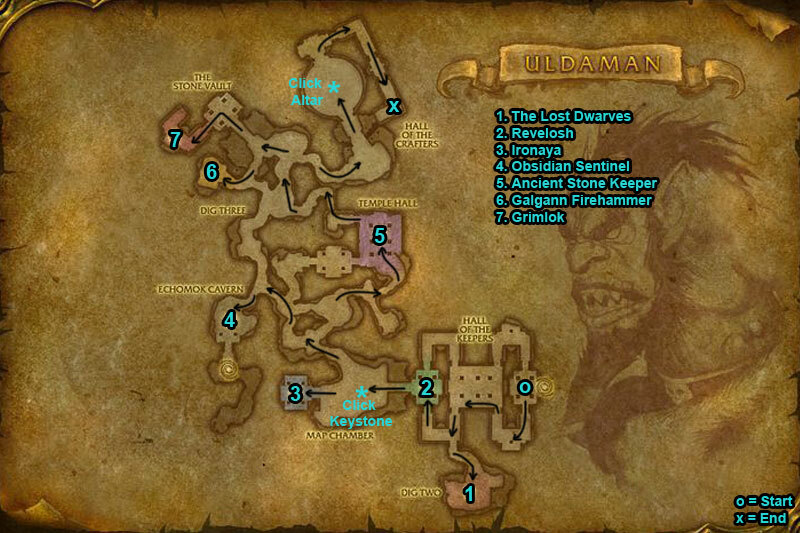 You can also enter Uldaman through a back entrance, this takes you to the far left side of the dungeon. /i Baelog: He will use Strike with his sword when close & use Shoot when ranged. Eric: He will use Rushing Charge, runs at player to increase his next attack. Olaf: Uses Shield Slam stunning his target & inflicts physical damage. /i Uses Chain Lightning. Chain Lightning & Lightning Bolt are interruptible. /i All her attacks deal physical damage. War Stomp stuns players nearby. Current target will get pushed back with Knock Away. /i When casts Splintered Obisian boss reduces damage done by 60% to summon Obsidian Shard. The shards use reflective shields giving them 20% chance to reflect next spell cast on them. /i Casts Sand Storms on a player that move around the room, causing damage & reduces movement speed of anyone nearby. /i Uses lots of fire spells. The Shadowforge guards attacks are interruptible. /i Most spells on this boss are interruptible. Uses Chain Bolt hitting other nearby players. Fights with his pet Basilisk. 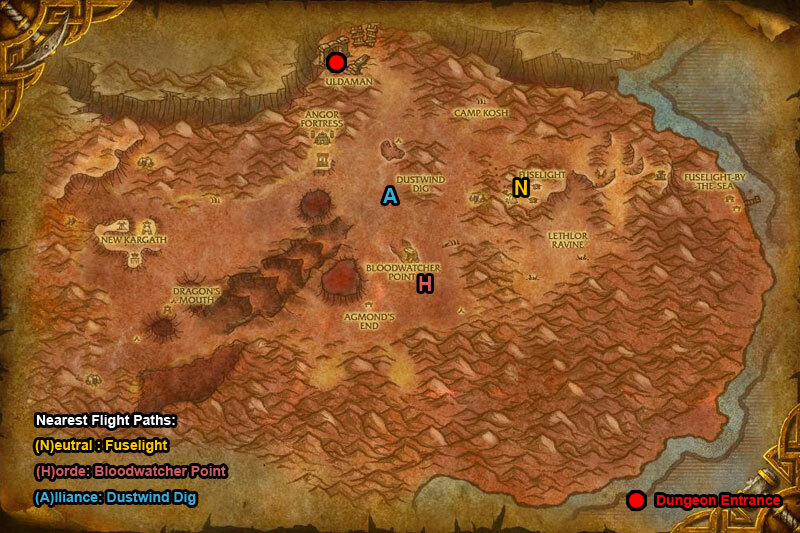 /i This boss has addition mobs to aid him, first awakens Earthen Dwarfs. When boss reaches 66% awakens Earthern Guardians (deal physical damage). When boss reaches 33% awakens Vault Warders (use stuns).